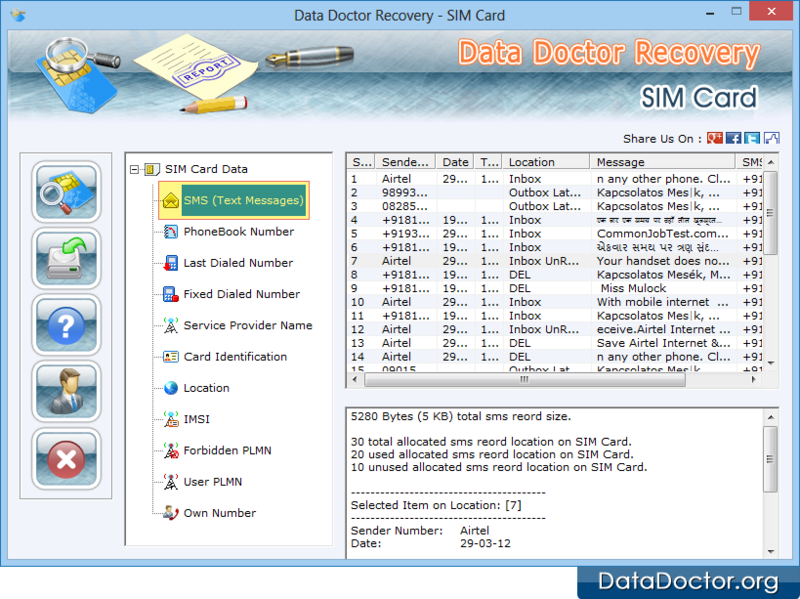 After launching the sim card recovery software, user needs to click on “SMS (Text Messages)” from left panel to recover all missing, deleted messages in inbox, outbox, sent, draft folder. The recovered messages can be seen in right panel. To recover Phonebook numbers, user needs to click on “PhoneBook Number” option from left panel. 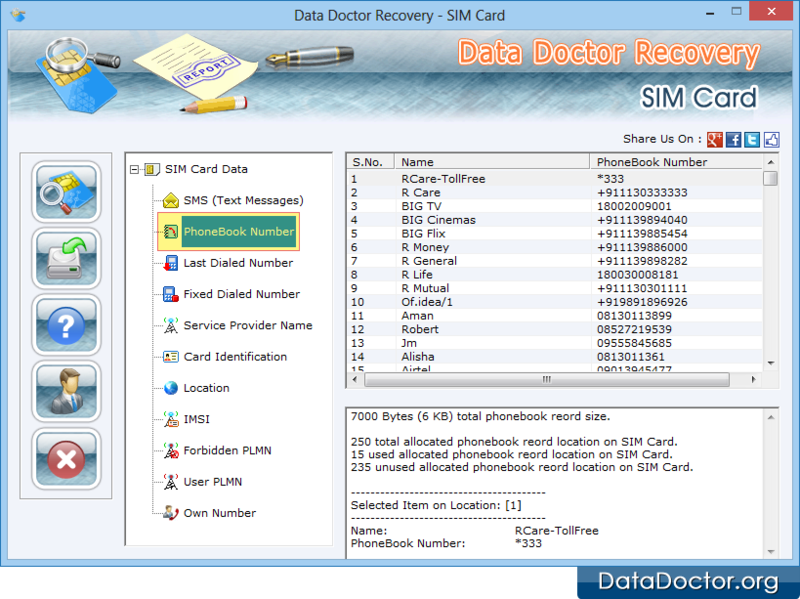 The description of contact numbers can be seen by selecting the contact number from right panel in region shown below the region of right panel where recovered phone book number description is seen by user. After recovery process is completed, user needs to click on “Save” button to save all the recovered data in a text file. On clicking Save button, save dialog box will appear to ask user to select the location where data file is required to be saved and then click on Save button to save file.